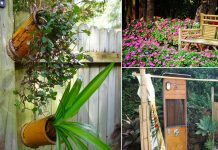 These DIY plant stand ideas can not only increase your indoor planting space but also enhance the beauty of your home. This wooden plant stand is simple to make even for beginners. Great for displaying indoor plants elegantly. Check out how to DIY this here. 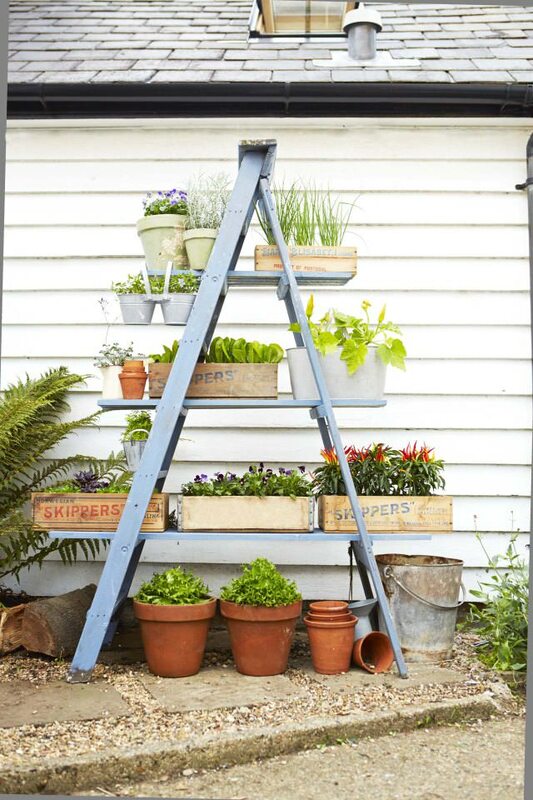 Try this DIY ladder planter to display flowers, herbs, and greenery, either indoors or outdoors without using much floor space. 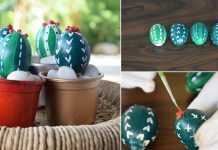 Here is the tutorial on GoodHousekeeping, another tutorial is available on our website. 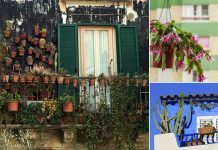 Display your plants uniquely and elegantly with this simple hanging pot rack. It can be made in a day with just a tiny bit of scrap wood, some rope, and a few basic woodworking tools. Complete tutorial here. 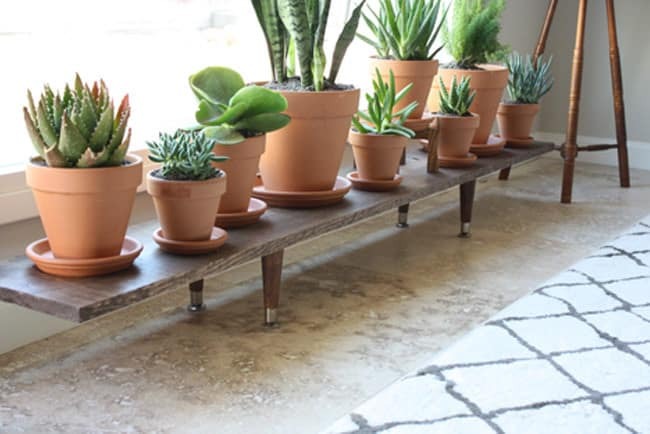 Make this beautiful plant stand using an old TV stand. This is a great way to upcycle your old TV stand and transform it into a centerpiece. You can either paint it for a fresh new look or use it as it is for a rustic look. 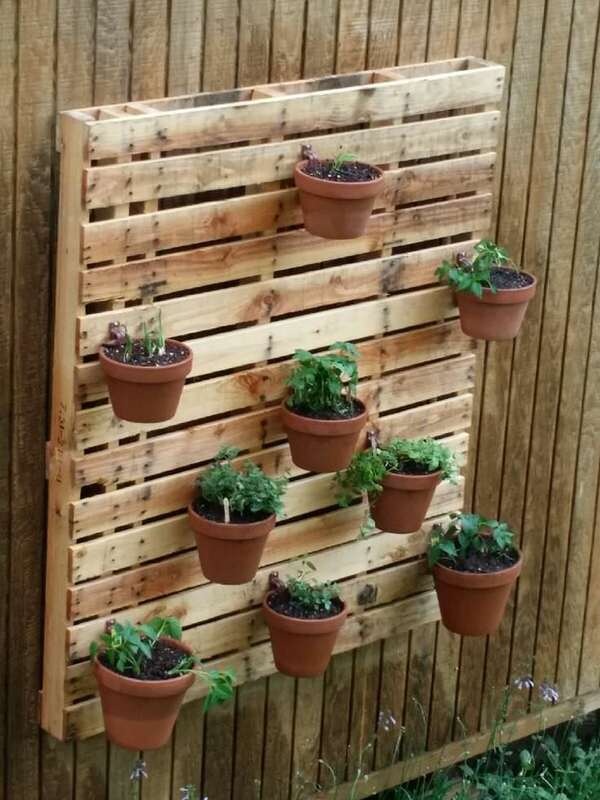 Arrange a pallet board and hang several pots on it. It’s easy! And the best part is it will create plenty of vertical space. 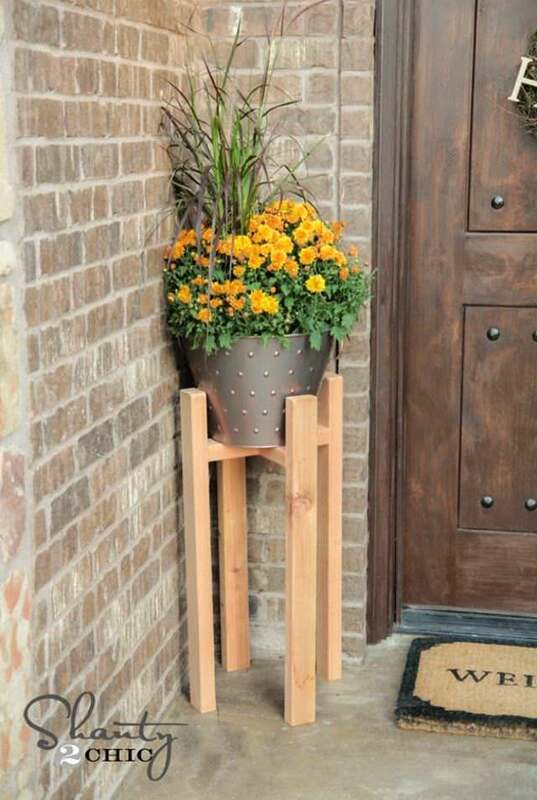 Display your plants in a rustic way with this plant stand. Check it out here. 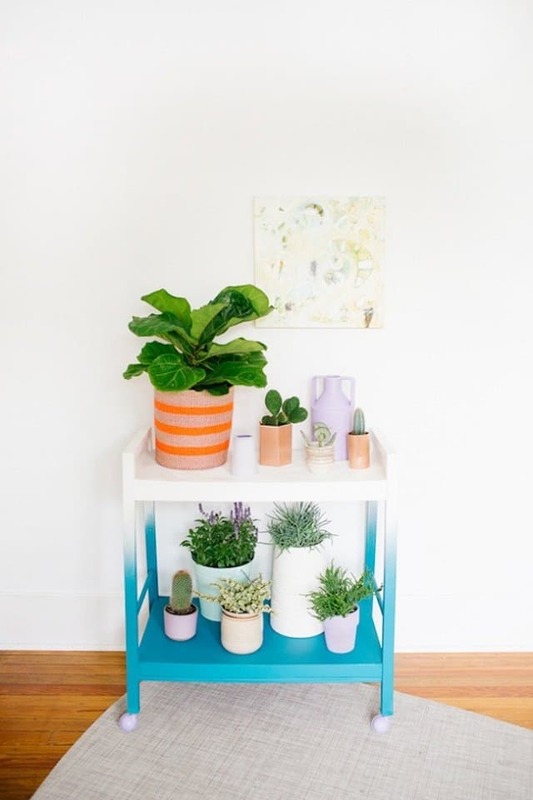 You are going to love how simple and cheap this plant stand is. This stand can be modified so that any pot can fit in it. Here is the step by step tutorial for your help. 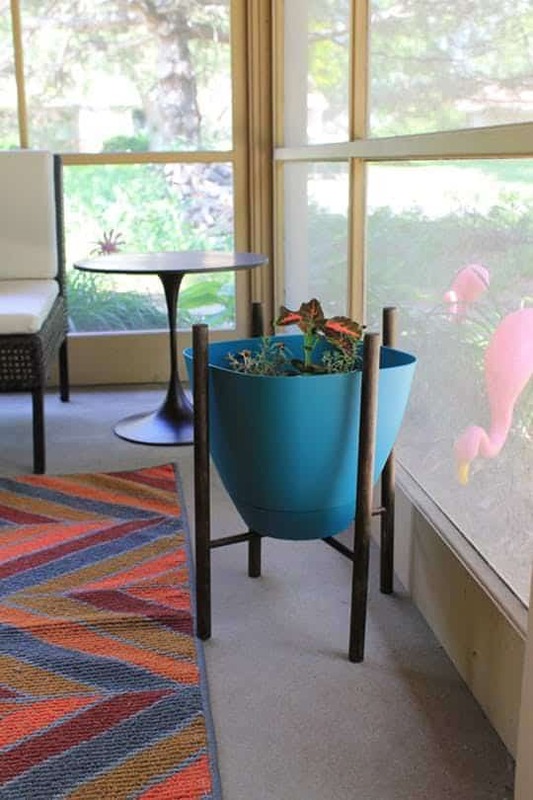 If you are on a budget, make this DIY plant stand for only $5. 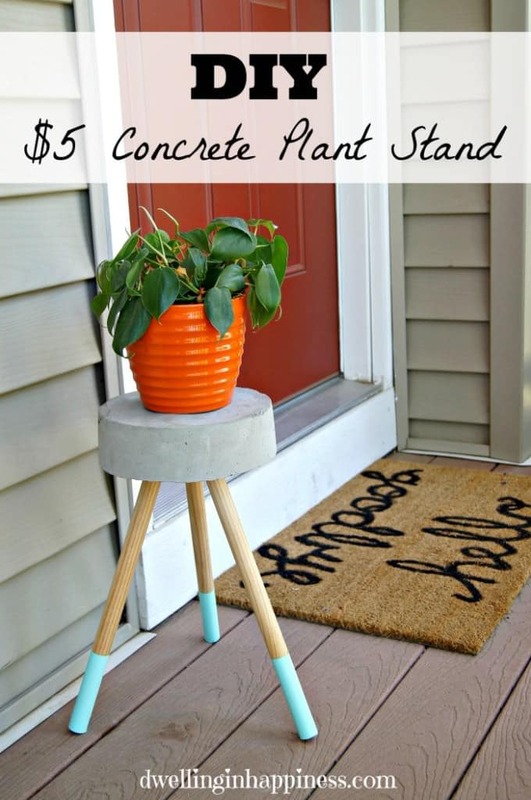 To make this adorable little DIY concrete plant stand you will need a bag concrete mix, dowel, a bucket and few more things. See the tutorial here.